Diamond Details: 2 Round brilliant cut white diamonds, F color, VS2 clarity and excellent cut and brilliance, weighing .07 carat total. 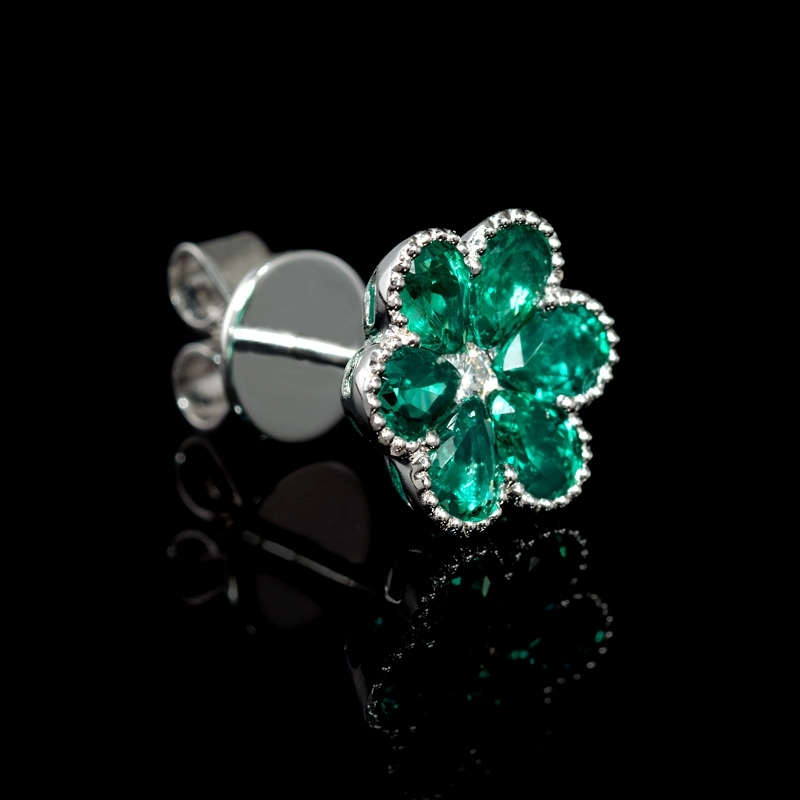 Gemstone Details: 12 Round cut emeralds of exquisite color, weighing 1.55 carats total. 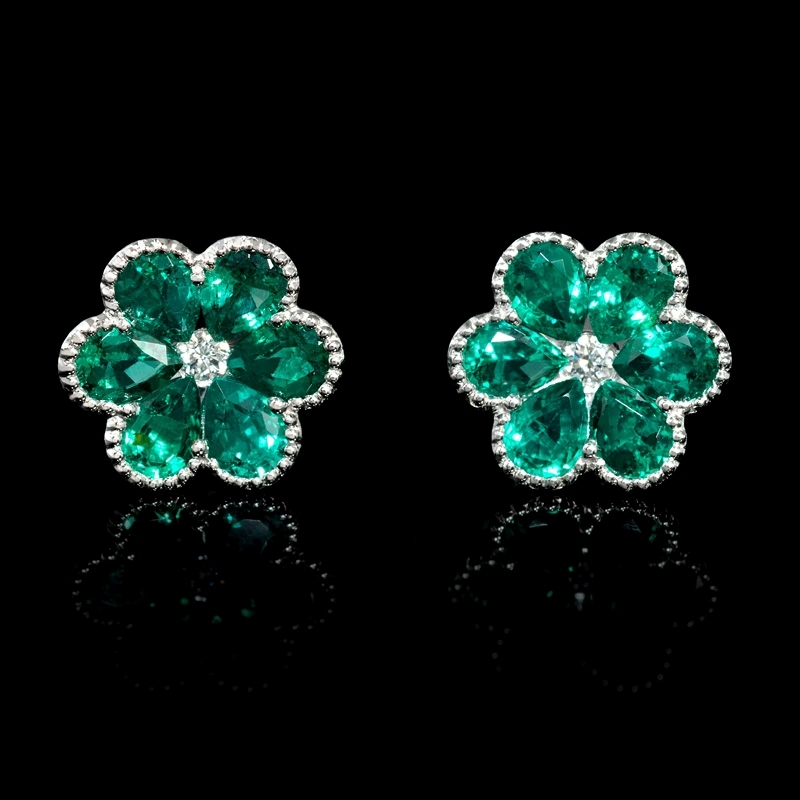 Earring Details: 18k white gold antique style cluster floral design. 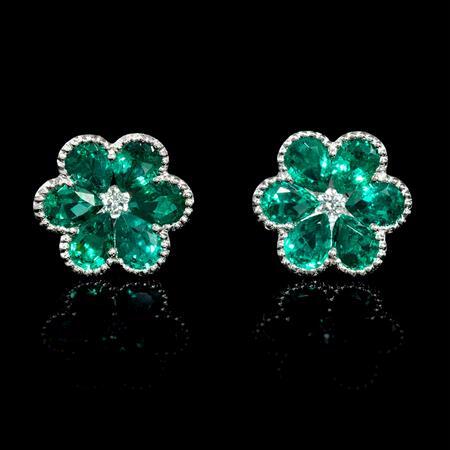 This gorgeous pair of antique style 18k white gold floral cluster earrings, feature 12 round cut emeralds, weighing 1.55 carats total with 2 round brilliant cut white diamonds of F color, VS2 clarity, of excellent cut and brilliance, weighing .07 carat total. A fantastic gift idea!